Today was just one of those days. Carter was a bit difficult and my patience was definitely at a low. It started with him peeing in his bed overnight. …again. It continued with him not wanting to change his shirt or allow me to remove his sheets. It also continued when I didn’t want to let him watch Barney or play the iPad. And then continued more when I was trying to take care of my to-do list. I was on the phone and trying to pay some bills online and of course, that’s a big neon sign for Carter to be all over me. He’s grabbing my hand, trying to get it off the mouse and he’s squeezing in between me and the desk and he’s climbing on me and clawing at me. So I tell him to stop. Stop is not on Carter’s list of favorite words. So he got upset and yelled. I gave him “the look” and he stared me down. Then he yelled again and went back to climbing on me. I moved him off of me and told him to go play. Each time I removed him, I got more irritated and so did he. So I finally snapped. And so did he. I screamed at him that I couldn’t get anything done with him clawing at me. Then I just sat there with my head in my hands as his eyes filled with tears and his lower lip took a bow. Sigh. Great. Just great. I composed myself and turned on the TV to try to find something for Carter to watch. And there she was. 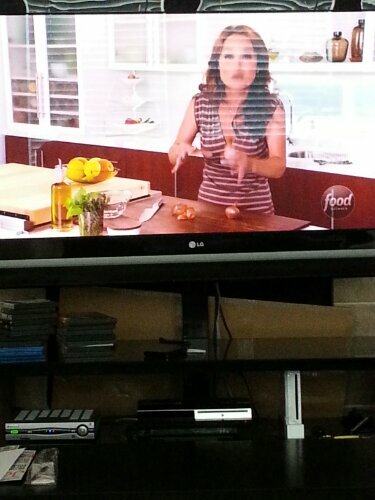 Giada de Laurentiis was on Food Network. Carter’s favorite. He just loves her. And she helped make Carter forget about his crazy, impatient mommy who lost it for a second. 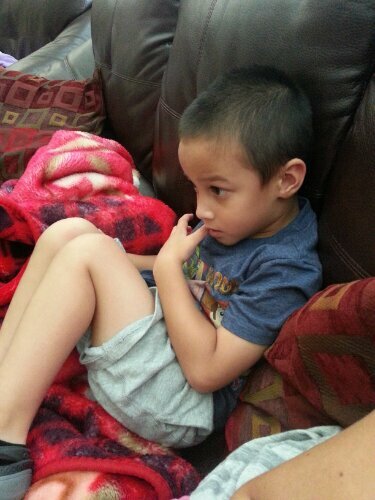 So Carter and I shook hands, gave a kiss, and sat down to watch Giada. He watches her so intensely. I am a mother of 3 very busy children, ages 15, 6, and 1. I am a chaotic, untidy yet organized control freak who's always worrying and stressing (being a mom does that to you). I am an amateur chef, though I like to think I'm like Emeril in the kitchen. I'm stubborn. I'm an outgoing introvert. My life is chaotic and not at all what I thought it would be, but I'm lovin' it.